The new 12,800sf Women’s and Children’s Center creates a contemporary, fresh face for women’s and children’s health services on the Samaritan Medical Center campus. 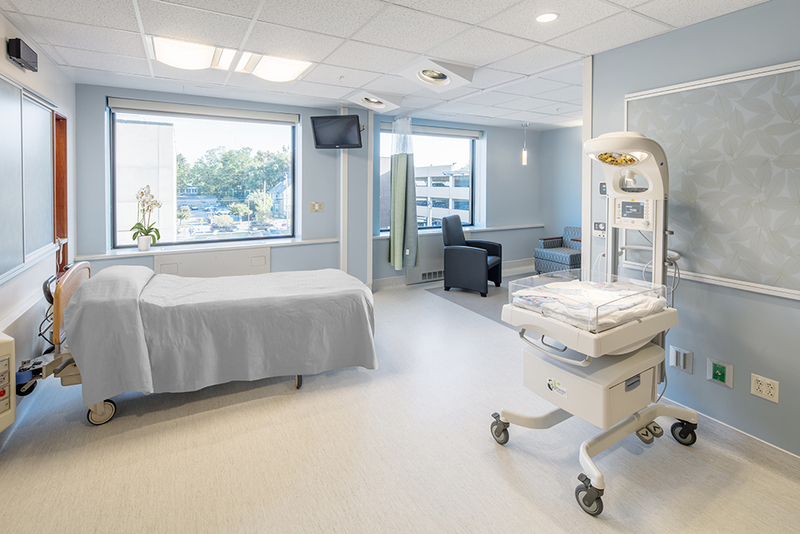 The new unit features a dedicated entrance, welcoming public lounge spaces, three Labor/Delivery/Recovery rooms, two C-Section Operating Rooms, 21 Post-Partum rooms, and eight Pediatrics rooms. 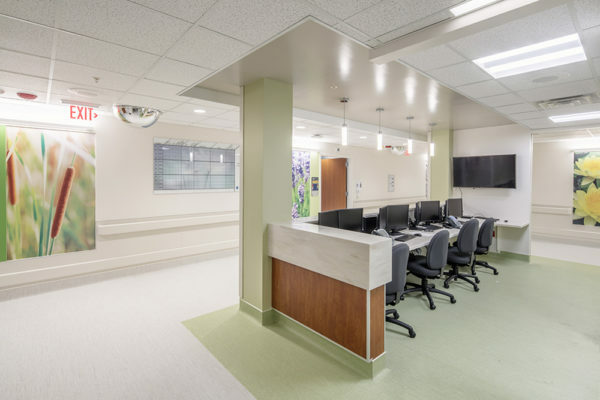 Evidence-based design principles include greater patient controls and amenities, planned flexibility, soothing colors and finishes, connections to nature, and increased patient/staff contact. The entry sequence, flow/throughput, adjacencies/access to care, selection of furniture, finishes, equipment, and implementation of sustainable elements were all designed to make a positive impact on patient care, enhance operational efficiency, and increase life-cycle costs.